Sam is the third son of the prophet Lehi. When Lehi received his prophetic calling, Sam and Nephi were the two that believed and followed him. Not much is spoken about Sam in the Book of Mormon. He went with his father and family from Jerusalem into the Arabian desert around 600 B.C. and then by ship to the “land of promise” in the Americas. From their first stopping point on the wilderness trek, Sam and his brothers were sent back to Jerusalem to obtain a sacred record of the prophets, made on brass plates. 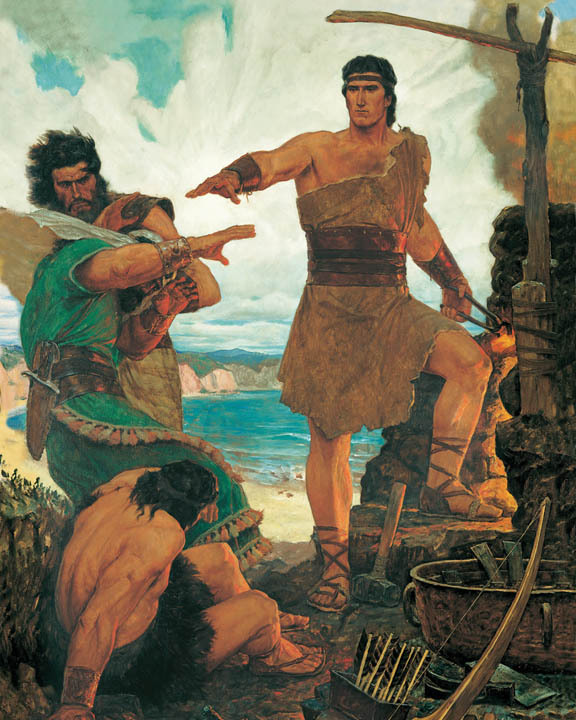 When the brothers failed twice, nearly losing their lives in the process, Laman and Lemuel beat Nephi and Sam with a rod, because the younger brothers wanted to fulfill the command to obtain the plates. They are rescued by an angel. Nephi then goes forward alone and obtains the plates with the Lord’s help. shalt be blessed in all thy days” (2 Nephi 4:11). In other words, Sam would not have his own tribal distinction, and in the Book of Mormon, we see this is so. 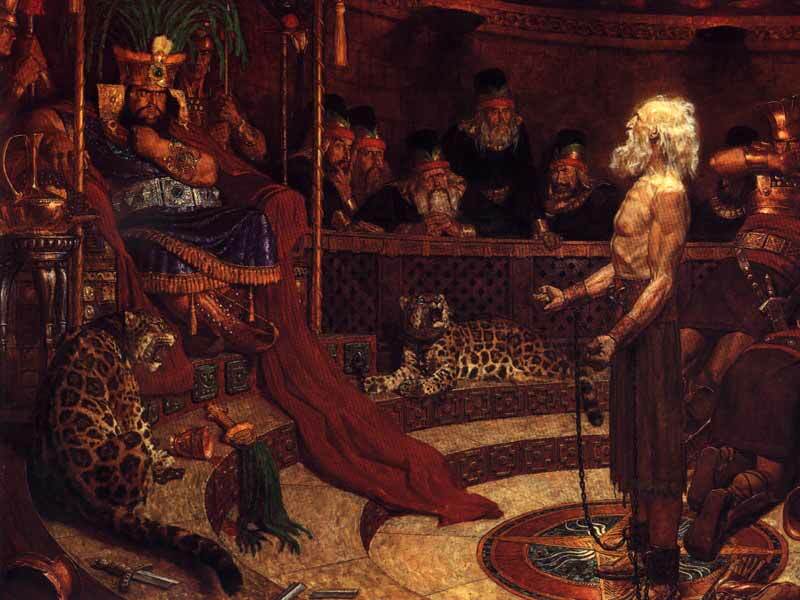 Whenever, the specific tribes are mentioned, we see Laman, Lemuel, Nephi, Jacob, Joseph, Ishmael, and Zoram’s names, but no tribal specification for Sam. It seems Sam must have had some form of physical or mental disability that made him unable to lead his own tribe. If Sam were, for example, mentally retarded, it would make sense for Lehi to basically say, “I’m dying and can no longer care for you, so Nephi will now be your adopted father.” In doing so, Sam’s family would have someone capable to watch over and help them. 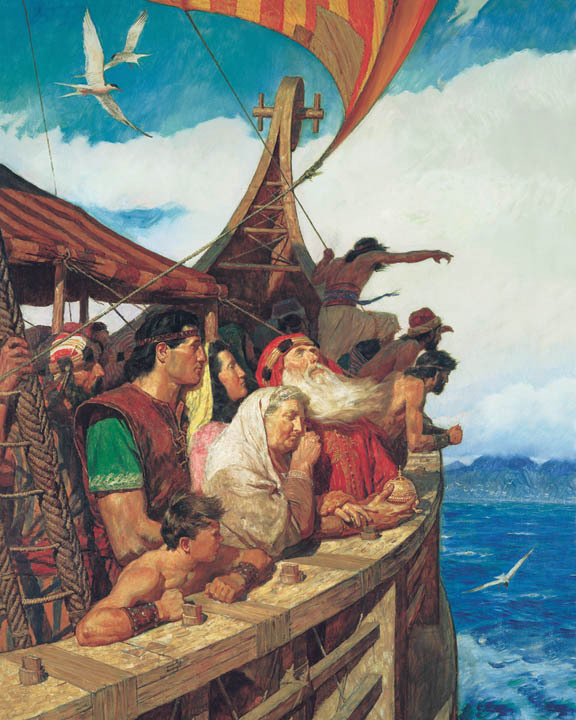 They would also benefit from the blessing of Nephi’s birthright and position as leader of the righteous tribes. However, it could also be so that Sam had few descendents, as with the tribe of Benjamin among the twelve Tribes of Israel. The tribe of Benjamin was so small, it was effectively absorbed by the Tribe of Judah.